There are different varieties of grapes available in different colors like red, green and purple. Also, they are consumed in different ways like in recuperation of fruit jelly, jam, juice, wine and raisins. They are various potential health benefits of grapes in the prevention of cancer, heart disease, high blood pressure and constipation. Let’s see amazing health benefits of red grapes. There are more than 200 varieties of red grapes all over the world. Red varieties include red globe, cardinal, emperor, and flame seedless. This sweet, tiny and juicy fruit has numerous health benefits for skin care and hair care. Grapes make a great snack and can also be used to make juices, desserts, salads and main dishes. These versatile fruits provide a number of essential nutrients and nutritional value. Potassium is important for keeping your heart beating regularly, muscle and nerve function, and maintaining healthy blood pressure levels. 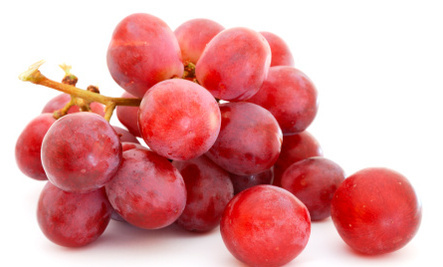 Red grapes are a good source of several vitamins. One serving of red grapes offers 16 mg of vitamin C, which is about 27 percent of the daily value, based on a 2,000 calorie diet. It also contains 22 mcg of vitamin K and 0.4 mg of thiamin, which is about 28 percent and 27 percent of the daily value, respectfully. Health Benefits of Red Grapes in curing Alzheimer’s disease. Resveratrol, a vital constituent of red wines, is useful to treat Alzheimer’s disease. Red grapes are also useful to fight against neuro degenerative diseases.